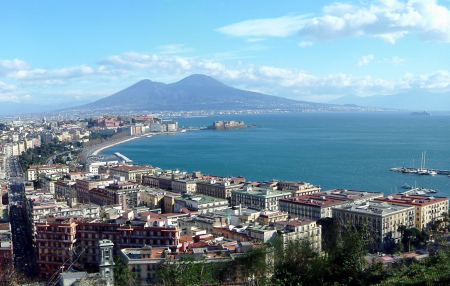 Naples is a marvellous city. During this journey you will immerse yourself in the atmosphere that inspired many of the books by Elena Ferrante. It is not easy to describe the city, it is a place full of contradictions and extremely rich from a cultural perspective. You will discover luxury palaces that belong to ancient noble families, rich churches from all historic periods of Italian history; all framed by the incredible views of Mount Vesuvius. But it is the people what make Naples unique. That is why this itinerary starts from Casa Tolentino, a 7th century monastery recently refurbished by a social enterprise of young people. From there you will enjoy some of the best views of the Neapolitan Gulf and they will make sure you fully understand and discover the city they love so much. Walk along the medieval roads to get to Piazza dei Martiri, recognise the places of Elena Ferrante’s books along the Chiaia seafront. Enter the historic tailor-shops to meet the artisans and see how masterpieces are made by hand to be sold to the European elite. Naples is never fully understood without a taste of its food, from pizza to sfogliatelle: you will never be disappointed.